2017 was the safest year in history for commercial airlines, according to industry research. There were no passenger jets crashes anywhere in the world, separate reports by Dutch consultancy To70 and The Aviation Safety Network found. This was despite more flights being made than ever before. But To70 warned that despite high safety levels on passenger planes, the "extraordinarily" low accident rate must be seen as "good fortune". 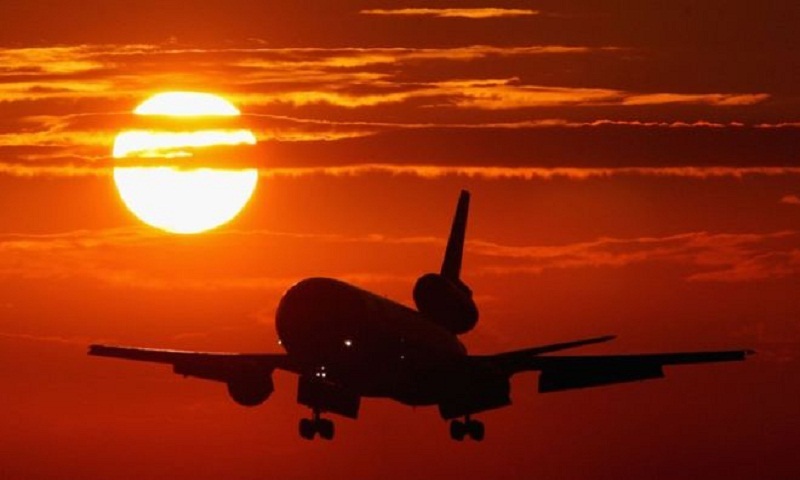 A report by the Airline Safety Network said there were a total of ten fatal accidents, resulting in 79 deaths last year. That compared with 16 accidents and 303 lives lost in 2016. The organisation based its figures on incidents involving civil aircraft certified to carry at least 14 people. The most serious accident of 2017 came in January when a Turkish cargo plane crashed into a village in Kyrgyzstan killing all four crew and 35 people on the ground. And the incident with the most on-board fatalities happened on New Years Eve, when a Nature Air single-propeller Cessna 208 Caravan plane crashed in western Costa Rica, killing 12 passengers and crew. Neither report counted military or helicopter accidents, meaning the year's worst air disaster, the crash of a Burmese Y-8 military transporter plane, which crashed in June killing all 122 people on board did not appear in the statistics. Incidents involving smaller planes also did not figure in the data. Aviation deaths have been steadily falling for the last two decades. In 2005, there were more than 1,000 deaths on-board commercial passenger flights worldwide, the Aviation Safety Network said. The last fatal passenger jet airliner accident took place in November 2016 in Colombia, and the last commercial passenger aircraft crash to kill more than 100 people occurred in Egypt a year earlier. ASN said the accident rate was one fatal passenger flight accident per 7,360,000 flights. "Since 1997 the average number of airliner accidents has shown a steady and persistent decline, for a great deal thanks to the continuing safety-driven efforts by international aviation organisations such as ICAO, IATA, Flight Safety Foundation and the aviation industry," ASN president Harro Ranter said. Dutch consultancy To70, estimated there was now one fatal accident for every 16 million flights, though its report was compiled before the Costa Rica crash. "2017 was the safest year for aviation ever," the firm's Adrian Young said, but added civil aviation still carried "very large risks". He pointed to new technology including fears of lithium-ion batteries catching fire on-board, as well as "mental health issues and fatigue," among the main risk factors for the industry. And he highlighted that there were "several quite serious non-fatal accidents" including the "spectacular" failure of an engine on an Air France A380, reports BBC.